It’s that time of year again! 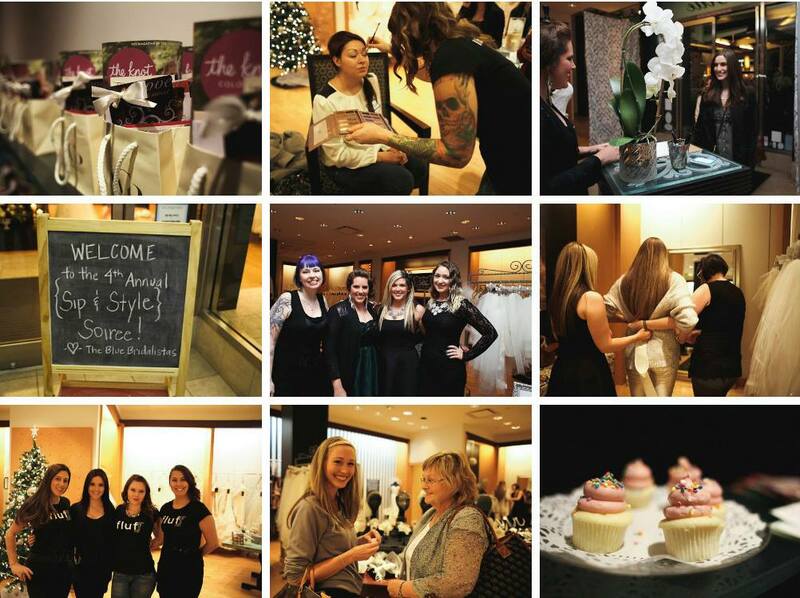 Last weekend we hosted our 4th annual Sip & Style soiree, an exclusive event featuring Sara Gabriel’s stunning 2014 collection of veils and accessories! We were overjoyed with the amount of brides and guests that attended, with the highlight of the party being Sara Gabriel herself! Our Blue brides and their guests swooned over mini (gluten-free) cupcakes from Gigi’s cupcakes, delicious appetizers from local restaurant DiFranco’s, and chilled champagne all evening long! Each Bridalista rotated brides through stations of picking veils and accessories with Sara Gabriel, to hair and make-up consultations from Kate & her stylists from Fluff Bar! Each bride was given a gift bag for attending, each bag included: magazines donated from The Knot, truffles and coupons from Rocky Mountain Chocolate Factory, an adorably fun “Bride & Groom” mad-lib from Pier 9 Design, caramel treats from Pink Posey Design, coupons to Fluff Bar, coupons to Colorado Athletic Club, and coupons for Shannon McQueen Photography. Buffy from Pink Posey Design provided the gorgeous, holiday-inspired floral arrangements that decorated the shop with pops of color and cozy smells. Our wonderful photographer for the evening, Shannon McQueen, captured not only the energy of the event but also special moments of brides with their guests, as they finalized their looks with the help from Sara Gabriel. 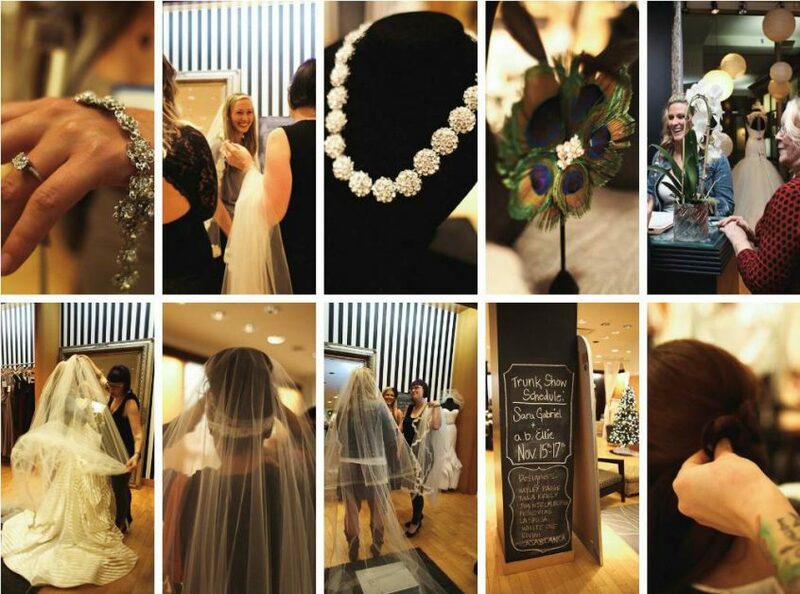 We hope everyone had a fabulous time, congratulations to all of our Blue brides! We look forward to hosting the event again next year!